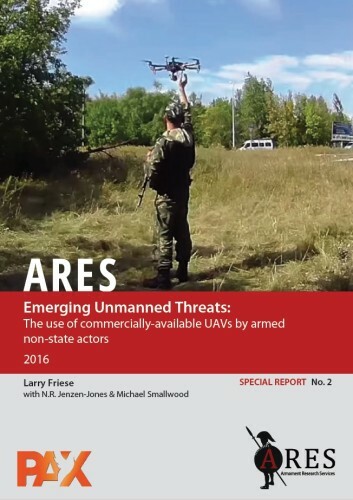 ARES is proud to announce the release of the second in our Special Report series, entitled Emerging Unmanned Threats: The use of commercially-available UAVs by armed non-state actors, presented in conjunction with PAX. Armed non-state actors are increasingly employing ‘commercial off-the-shelf’ (COTS) unmanned aerial vehicles (UAVs) to support combat operations. A wide range of these systems have been employed in recent years in conflict zones of the Middle East, North Africa, and Ukraine. The popularity of small UAVs has increased dramatically as they have become widely available for commercial and consumer use, with global sales of civilian unmanned aerial systems expected to approach $5 billion USD in 2021. These otherwise innocuous systems can provide armed groups with unique capabilities for intelligence, surveillance, target acquisition, and reconnaissance (ISTAR) missions and are sometimes modified for direct offensive use when converted to carry improvised explosive devices (IEDs) or other arms and munitions. 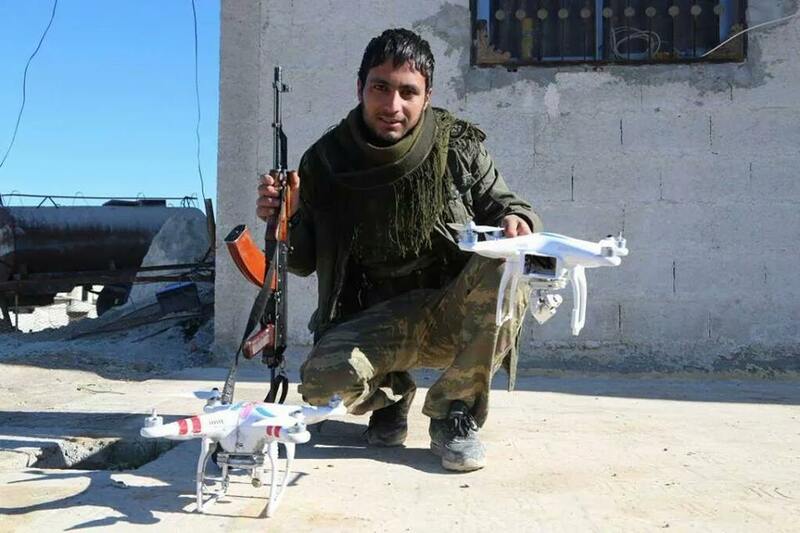 The booming civilian market for COTS small UAVs has made it easy for groups such as the Islamic State, Jabhat al-Nusra, and Saraya al-Khorasani to support combat operations with UAV technology. ARES Special Report No. 2 Emerging Unmanned Threats is a thorough analysis of current trends and developments in COTS UAVs, as well as specifically examining the use of these technologies by non-state armed groups in various conflict zones, and discussing some of the measures developed to counter this threat. The full report is available here. For other ARES publications, please visit our Publications page. I would like to get a copy of this report.